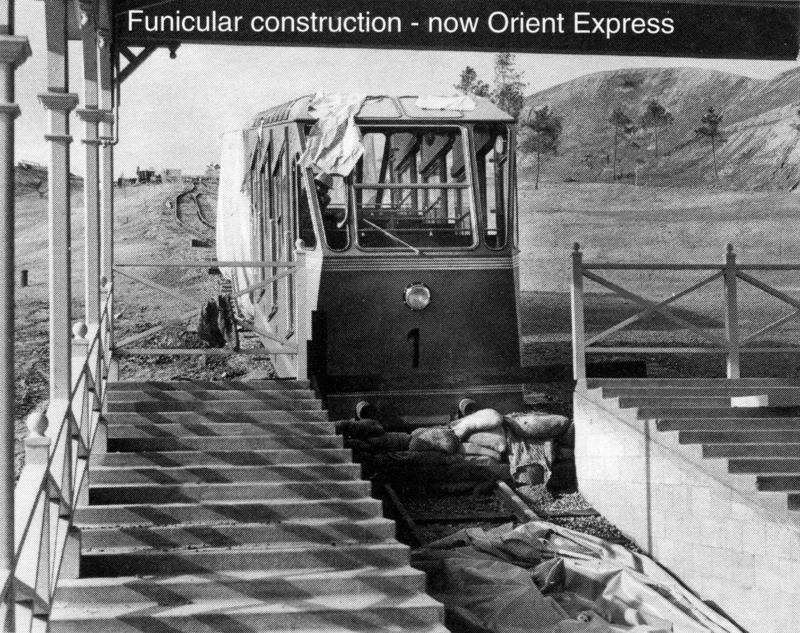 Funicular under construction in 1970-71. The Funicular (known after 1988 as the Orient Express) is an Alpine-style cable car ride that spares visitors a hike up the hill. The Funicular's manufacturer is identified as Kornenberg Shipbuilding Co., although that company is affiliated with industry giant Intamin AG of Switzerland, which fabricated many of Magic Mountain's early attractions.